The Gyeonggi International Ceramic Biennale (GICB), which celebrates its tenth edition in 2019, is expected to undergo significant changes, especially in regard to its "international competition". The upcoming edition of the Biennale will present diverse programs such as the academic symposium and workshop in a comprehensive, multi-tiered format within the framework of the international competition, as opposed to the past in which the biennale hosted programs individually. We'd like to ask for your enthusiastic participation in International Competition 2019! The Open to Art award dedicated to the promotion of contemporary ceramics is at its third edition. Launched in 2014 to promote the use of ceramics in contemporary art and design, the competition - open to artists of all nationalities, single or associated, without age limits or thematic constraints - is now open. The third edition confirms the first two Cash Prizes, worth € 5,000 each for the Art section and the Design section. "The Future Lights competition is designed to build new bridges and provide a platform for recent graduates to further their careers." Promote ceramics to a younger audience, though identifying potential ambassadors. Encourage cross-disciplinary learning and approaches by bringing together the ceramic designers, art historians, researchers, makers and artists of the futureSupport people in the early stages of a career in ceramics by exhibiting their work at high profile ceramics exhibitions across EuropePromote ceramics to a younger audience, though identifying potential ambassadors. 5rd BIENNIAL INTERNATIONAL COMPETITION "TRA TRADIZIONE E MODERNITA'"
to be held in Ascoli Piceno on 1st May 2018 announces the Concorso Internazionale Biennale di Ceramica Artistica e Tradizionale – Biennial International Competition for Artistic and Traditional Ceramics. 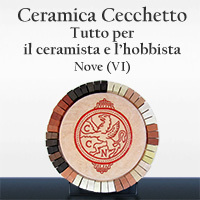 This competition aims to stimulate research through the renewal of expressive shapes and methods in the context of ceramic production, also including the city of Ascoli Piceno, by identifying decorative solutions that can successfully combine past and present through the "reinterpretation of traditions, styles, and patterns of ceramics", as indicated by the "law for the protection of artistic and traditional ceramics and Italian quality ceramics". ​returns to the Seilers' Studio and Gallery on October 8, 2017. ​We anticipate accepting 75-100 entries into the exhibit. One of the most significant cultural events to take place in Gualdo Tadino is undoubtedly the famous and well established International Competition of Ceramic Art, organised by the Tourist Association 'Pro Tadino' in 38 editions started from 1959 and leading right up to 2009. More than 600 Italian artists and 400 foreign artists from more than 41 nations have exhibited during that time achieving success with an ever increasing number of participants. A competition with a theme, a peculiarity of this event, allows Italian and foreign artists to express avanguard experience and innovative ceramic art techniques with awards given to illustrious artists. Amongst the most prestigious artists who have won prizes are Edoardo Abbozzo, Lee Babel, Angelo Biancini, Pino Castagna, Salvatore Cipolla, Otto Eckert, Goffredo Gaeta, Guido Gambone, Nedda Guidi, Vlastimil Kvetensky, Hans Marks, Muky, Aligi Sassu, Nino Strada, Natalia Nicolaevna Viatkina and Carlo Zauli. After a few years pause, a promotion committee made up by the 'Pro Tadino', the borough administration and the Polo Museale, have decided to reactivate the initiative and launch the 39th edition that by joining tradition and innovation aims to prove once more the cultural commitment of Gualdo Tadino as 'CITY OF CERAMICS'. Ceramics Biennial of El Vendrell aims to encourage the creation and diffusion of pottery worldwide. It is a project that lasts two years. During the first year, competition is held and an exhibition is developed among selected candidates. During the second year, it congratulates the three winners with another exhibition and the publication of a catalogue of all participant’s works. These bases are intended to establish general foundations of Ceramics Biennial of El Vendrell, with the aim to promote and the creation and dissemination of ceramics worldwide. Artists interested in participating must register between March 1st and 17th 2017, in the Biennial secretariat that will operate in the Division of Culture, Tourism and Citizenship in the City Museum: João Mendonça Street, 3800-200 Aveiro. For detailed information and the registration form, please visit the webpage www.cm-aveiro.pt (News). At the Biennial can participate national or foreign artists, with a maximum of two artistic works with an execution date not exceeding three years, which will be selected by the members of the Jury. The artistic works may be individual or collective. Organized by the City Hall of Aveiro, the Biennial awards three prizes: 6,000 euros for the first prize; euros 4,000.00 for the second; and euros 2,500.00 for the third prize. In addition to these awards, the jury may award Honorable Mentions up to a maximum of three. The winning works, excluding the Honorable Mentions, will be jointly owned by Aveiro Municipality. This is an international competition which aims to promote the further development of ceramic industry and culture through international exchanges of ceramic designs and culture. Outstanding works that suggest innovative ideas and explore the future of ceramics coming from all over Japan and the world will be displayed all together.